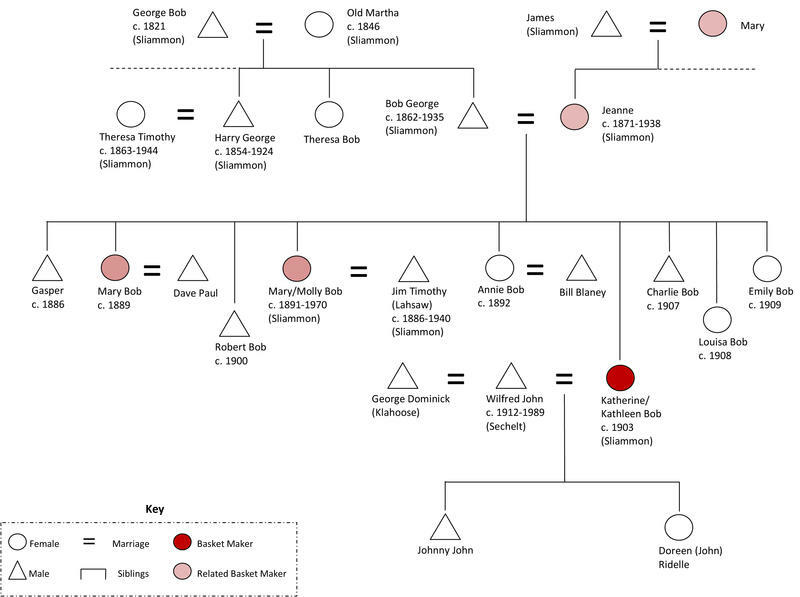 Katherine Bob was one of several daughters born to Jeannie and Bob George of Sliammon. Her older sister Molly was also a basket maker and so it was natural that Katherine too picked up the skills. Trying to identify regularities in a basket maker's work based on a sample of only 6 baskets is likely to produce questionable results. Nevertheless a number of characteristics do stand out . 2. A preference for beading as a decorative technique. 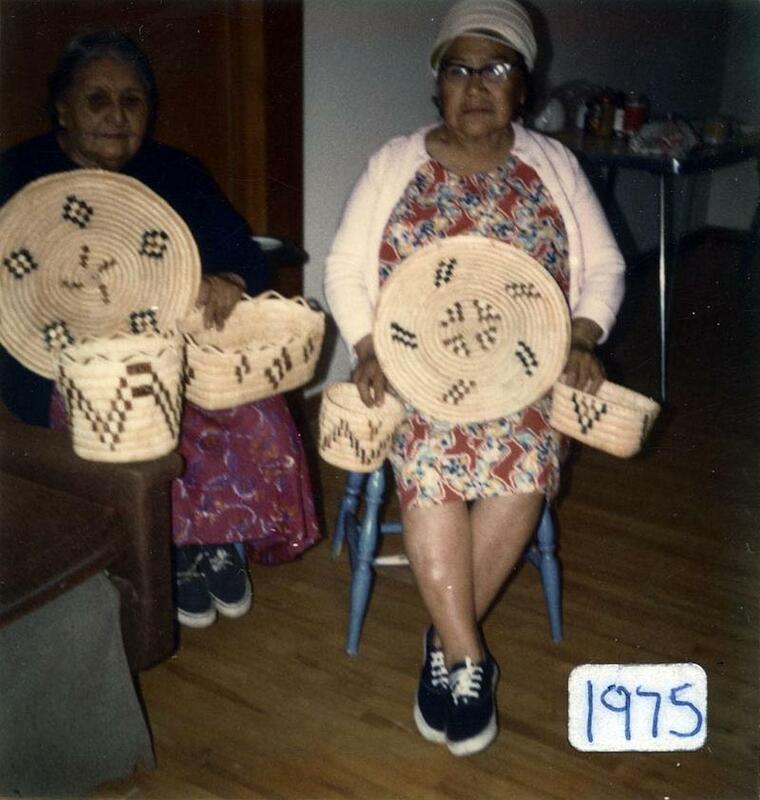 All 6 of Katherine's baskets have beaded, rather than imbricated, designs. 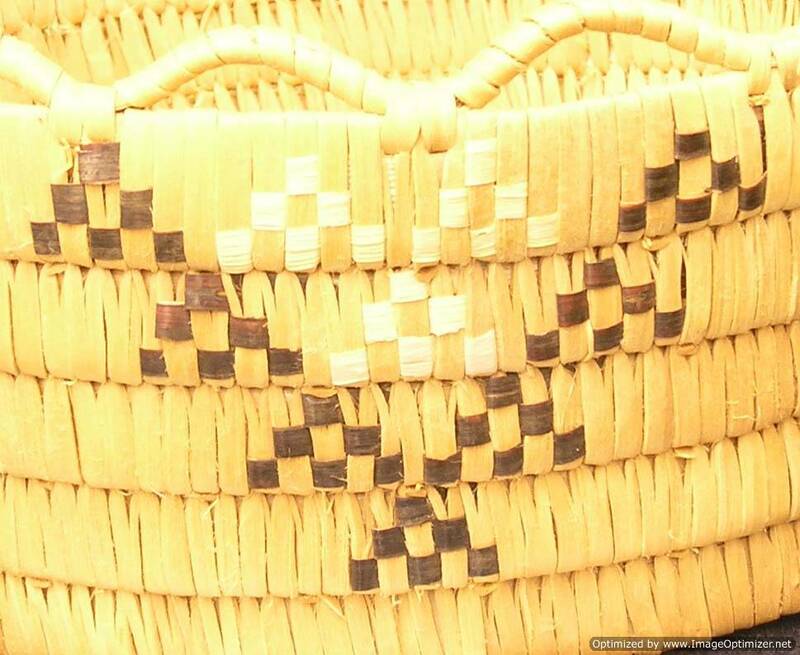 One basket with beaded designs has 3 imbricated elements in the middle of an otherwise beaded pattern. 3. A preference for 1 or 2 colour designs. 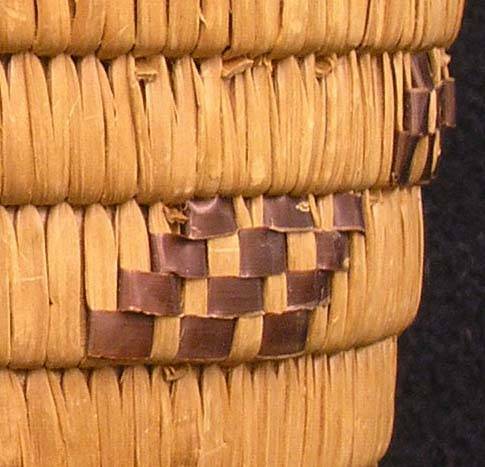 Only 1 of the 6 baskets has 3 colours in the applied decorative pattern. In this instance a 3rd colour (white) is used in one small area only. 4. Undecorated bottom wall slats. All 6 baskets exhibit this feature. 5. False braided and bundle coiled edges are not much used. 6. Favoured design elements: 1) triangles and 2) clusters of 3 slanted lines forming a shape resembling a diamond on its side. More complex patterns are built up using these two elements. Whether these observations would be still be valid if a larger sample of Katie Dominicks's work was available remains to be seen.